Today’s post features one of the 400+ photos that we took at the Atlanta market last week. It has only been in recent years that photography has been allowed in the showrooms. Taking photos rather than making notes, allows the buyer to move at a much faster pace and cover more showrooms. The color that remains strong is aqua…but in a muted tone rather than the bright summer color of several years ago. 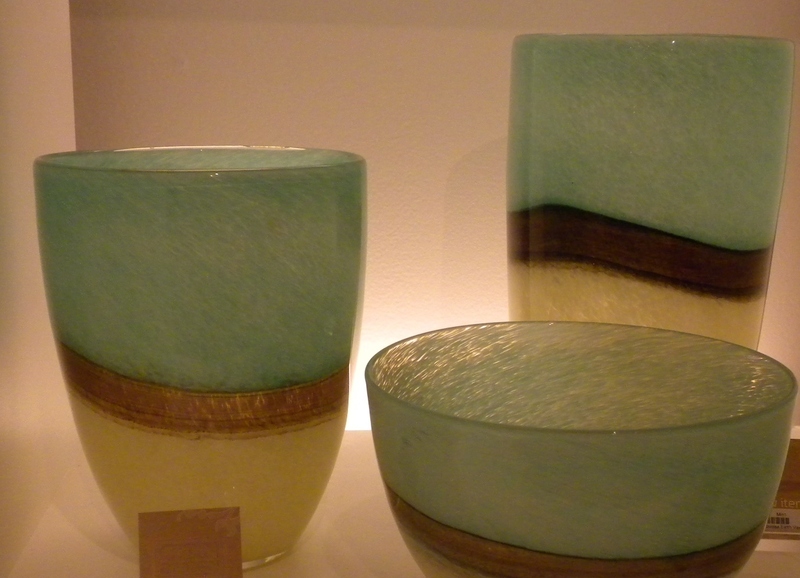 Love the addition of antique gold banding to separate the creamy color of the base and the aqua.